Stop Shaming Parents for Having Feelings! Can we be very clear that empathy for the child’s experience and empathy for the parent’s experience are not mutually exclusive? Since when does me saying I’m having a hard time mean I’m not thinking about how hard of a time my kid is having too? while, yes, it’s important to have gifted female voices in all those realms, does achieving a proportional representation actually mean we’ve achieved a society in which the unique perspectives and contributions of gifted females are valued? Dear Friend of an exhausted, overwhelmed, drained mama of a differently wired child. Hello friend of an exhausted, overwhelmed, drained mama of a differently wired child. Not to sound overly dramatic, but I’m literally writing this post as tears are streaming down my face. Why? Because it happened again. It took my breath away . . . again. I felt the weight on my shoulders and the heaviness in my gut . . . again. It hit me all over again. We’ve been a world in upheaval for quite some time. It can be exhausting. It can be frightening. It can be overwhelming and it can feel hopeless. We feel it in the air and in the everyday conversations with everyday people. And, when in a group of gifted kids, teens, and adults, the angst and existential questioning has been palpable. To be fair, it really isn’t the character herself that I find dangerous, but rather, how the general public has interpreted the characters and their strengths. 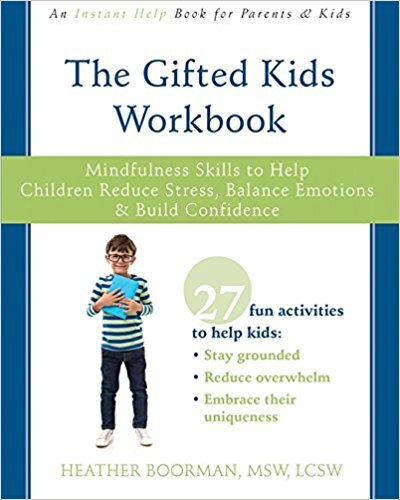 Gifted kids perceive and think about the world in unique, complex ways. They are designed to question, probe, understand, explore, and think outside of the box. They want to know the reasons why something works the way it works and are there other ways to make it work. They are curious, inquisitive, problem solvers. And we love this about them. Except when it interferes with our own plans. While it sounds dramatic – I’m here to demand that we talk about giftedness, because it truly is a matter of life and death. “Should we get her tested for autism?” I anxiously asked the occupational therapist. I had been pondering it for months. Does my daughter have autism? Doesn’t she? What explains her behaviors? Or thinking? Or who she is?